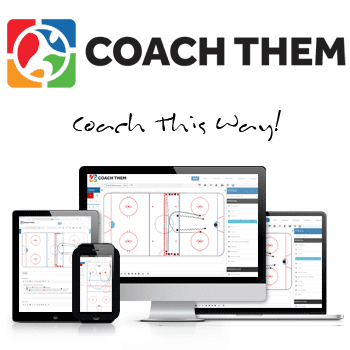 Want to get your players moving the puck with a purpose at the start of practice? 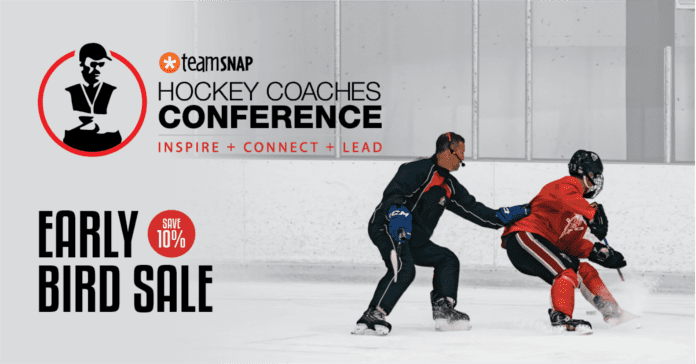 Check out this simple passing drill from Barret Leganchuk. Players line up outside all four blue lines. 1. On the whistle, both O1 and O3 leave at the same time without a puck (one side shown), skating into the neutral zone. 2. Once reaching the red line, O1 receives a pass from O2. 3. After receiving the pass, O1 moves the puck back to O2. 4. 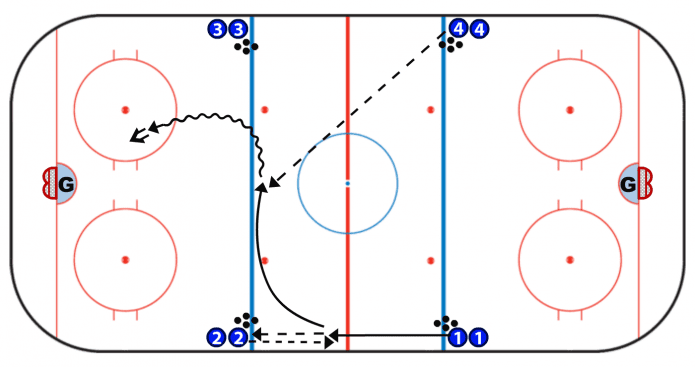 O1 moves into the neutral zone toward mid-ice and receives a stretch pass from O4. 5. O1 attacks in for a shot on net. 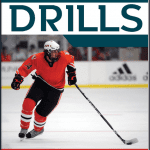 “This drill was taken from a Book Called “Elite Hockey Development Drills” Published by Barrett Leganchuk. Barrett Leganchuk is the Scouting Coordinator for the Winnipeg Jets of the National Hockey League. He served on the Coaching staff for Team Canada West at the 2014 World Under 17 Hockey Challenge in Cape Breton, Nova Scotia. Prior to joining the Jets, Barrett has spent over eight years coaching most previous having spent two years as an assistant coach with the Winnipeg Blues of the Manitoba Junior Hockey League. 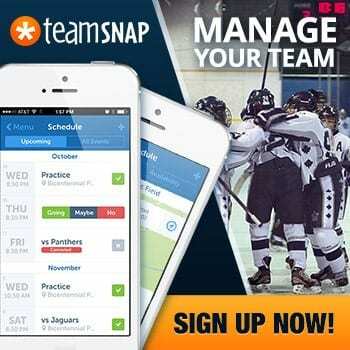 He has also directed and assisted in many different hockey schools in the summer months. Leganchuk holds a BA in Business Administration from Providence College, Otterburne Manitoba and received his High Performance 1 coaching level from Hockey Canada in 2010.